We’re proud of our kids going off to school this Fall, and more than a little relieved. As much as we love the twins, Dax and Eleven, the fact that any of us survived their teenage years is a miracle (We love you Dax. Eleven, you are grounded until the cat grows a new tail). For our own kids (at least the one we like), we want excellent safety, low cost of ownership, and bulletproof reliability. The car we select has to be stylish, with modern features and plenty of usable space. Hands-free smartphone integration is a must. We set a budget of $20,000 with a tiny bit of wiggle room. College is expensive, but this car will carry the kids both through their education and probably all the way through their first job. It’s important to make the right choice. Significant money can be saved by shopping around for previous model years or closeouts. 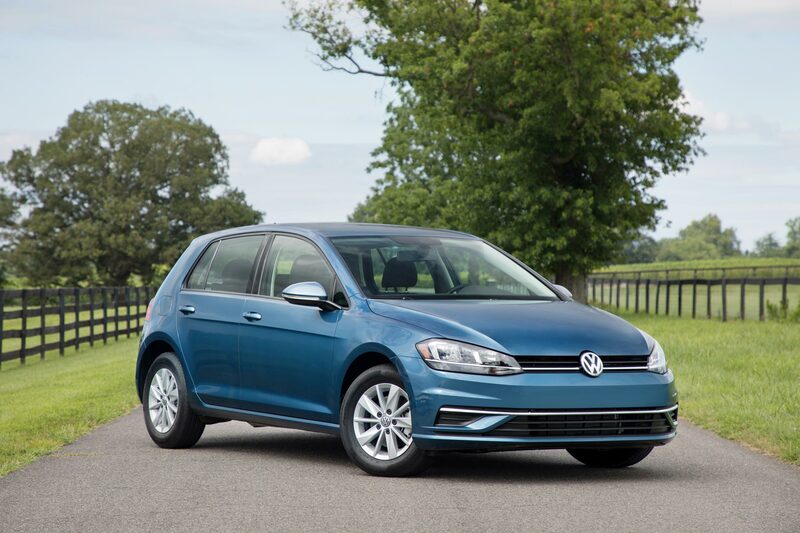 Our family prefers hatchbacks, but sedans usually cost less. So without further ado, these are the cars we recommend for kids going off to college. Our kids. 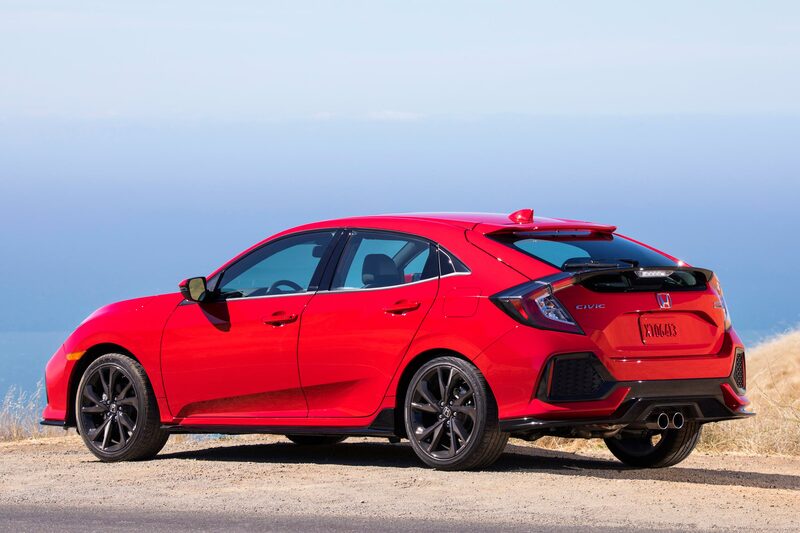 We like the Civic, and we like the Civic Hatchback for the extra power, extra room, and extra style. The EX model comes with a manual transmission, which we love, and a continuously-variable transmission (CVT) for $800 more, which kids today can actually drive. 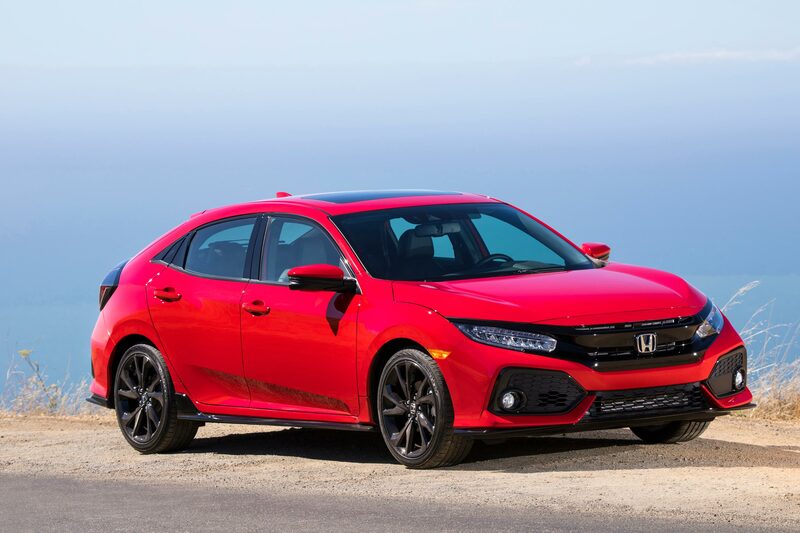 All Civic Hatchbacks are equipped with the delightful 1.5-liter turbo four-cylinder, putting 174 horsepower and 162 lb-ft of torque (Sport models have 180 horsepower) That is more than enough to be fun, but not enough to stupid fun. The mill returns 34 mpg in the combined cycle. Hands-free calling is standard in all Civics, as is basic music streaming and voice control. Apple CarPlay and Android Auto appear at the EX trim level ($23,250), which also adds a moonroof and lane-changing camera, as well as a CVT as standard fare. In both models, the Honda Sensing safety suite ($1,000) is a welcome option, and adds adaptive cruise control, collision mitigation braking, road departure mitigation, and lane keeping assist. 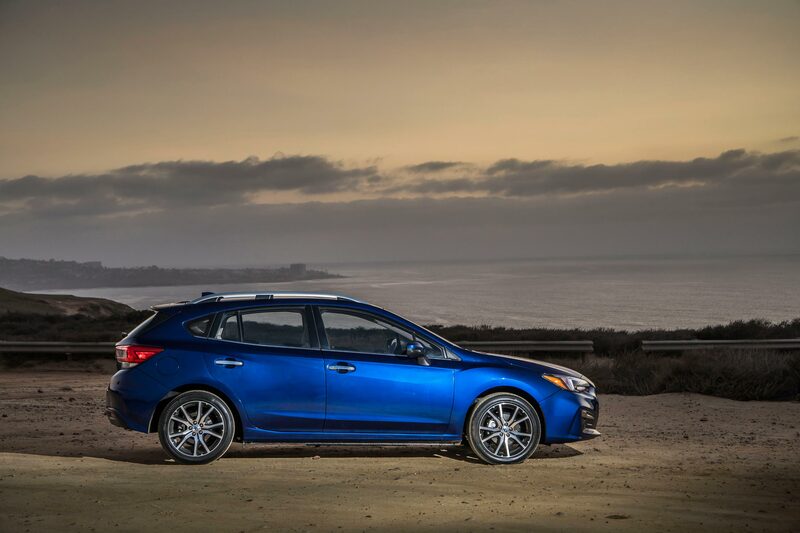 We prefer the hatchback for its near-SUV levels of cargo room when compared to the sedan. It also adds to the airy feeling of the cabin. And it looks WAY cooler. Civics routinely appear on top ten lists of cars with the lowest cost of ownership, highest longevity, and highest resale value. 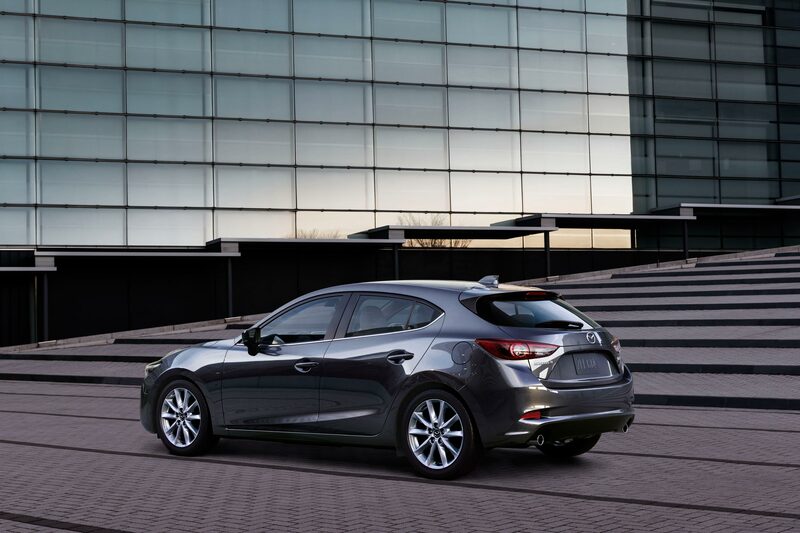 Like the Honda Civic, the first iteration of the base Sport model Mazda3 comes with a manual transmission ($19,345). Though we love the feel of it and the way it complements the 3’s sporting nature, we opted for the automatic for the kids ($20,395). And yes, we called the long five-door hatchback sporting. It’s not particularly powerful—just 155 horsepower from the base 2.0-liter engine—but it is genuinely engaging to drive. We like the way the chassis, suspension, and drivetrain all work together like a single unit. The autobox can be switched to sport mode for more spirited shifting, and yet the 3 still returns 32 mpg on the combined cycle. Hands-free calling and texting are standard (not that the kids ever call), and the infotainment system can be voice controlled. There is both Bluetooth and USB ports for syncing, steering wheel mounted controls for easy audio adjustments, and popular streaming station integration. All Mazda3s now come with Smart City Braking, operational between 2 and 18 mph. The system uses a laser to detect the car in front. If a collision risk is detected, the brakes are prepared to deliver maximum stopping power. If the driver does not take evasive action, the system applies the brakes and reduced engine output, hopefully reducing the impact or avoiding the accident altogether. This system is a boon to all drivers, but especially younger ones more prone to distraction. 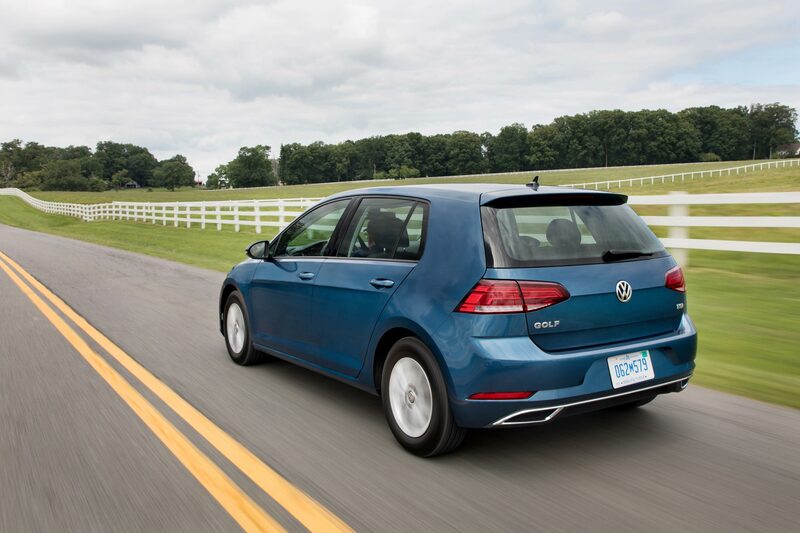 The VW Golf has been around for generations, and has always had a certain air of sophisticated cool in spite of the fact that it’s a cheap and cheerful compact car. Our kids say the Golf is held in such high esteem because of its handsome looks, excellent engineering, and spirited driving dynamics. Well, they text it, anyway. Like the Civic, like the Mazda3, the most basic of Golfs, the S, starts out with a manual transmission ($20,910). Perhaps there’s hope yet for the Goldfish Generation. As usual, we opted for the automatic version ($22,010). 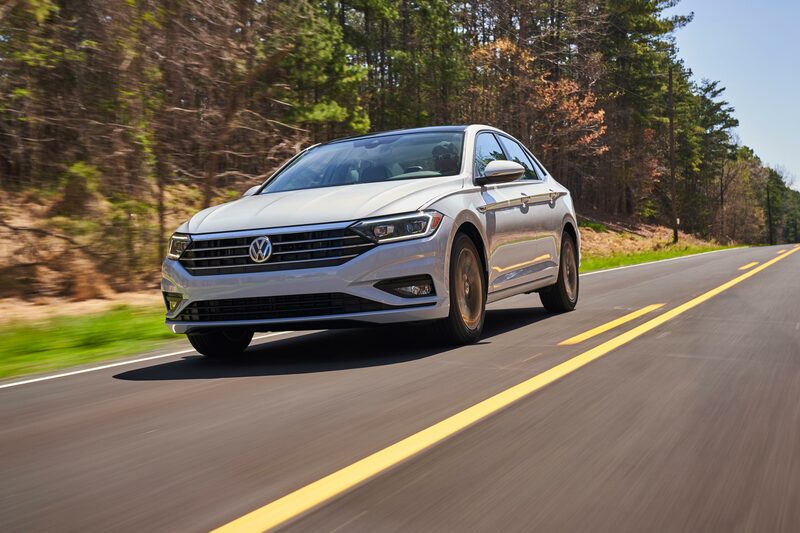 Under the svelte hood is a 1.8-liter turbocharged four-cylinder, delivering 177 horsepower and 199 lb-ft of “yee-HAW!” while still returning 28 mpg combined. The steering is crisp and the handling is precise. It actually might be too much fun to give to the kids. The latest Golfs get upgraded kit on the inside. Our S model has a 6.5-inch touchscreen display that syncs the phone through Bluetooth or USB, and a second phone can also be paired. The system will send and receive texts, allowing the Snapchatty little beggars to keep what limited attention they have on the road. The display is also used for the standard rearview camera, a huge assistance to novice parkers or those whose vision inexplicably fails to register large objects (Eleven once backed into a horse. True story). Standard safety upgrades are two: Volkswagen’s post-collision braking system, which holds the car in place after the airbags are deployed, thus protecting the occupants from additional damaging impacts; and an Intelligent Crash Response system, which shuts off the fuel pump, unlocks the doors, and switches on the hazard lights in certain types of accidents. On a less “my child inured in a car crash” note, the Golf comes with a standard six-year/72,000-mile bumper-to-bumper warranty. Our child Dax has been obsessed with Subaru rally cars since conception and has begged for a WRX since learning to drive. Like all families, we had a discussion about it and compromised by saying “No” year after year. Well, kid, this one ain’t your year either, but it’s as close as you’re gonna get. Like the Civic, like the Mazda3, like the Golf, the Impreza 2.0i 5-Door is equipped with a manual transmission in base form (what a great time to be alive!). We added the CVT ($1,000) to reach our starting MSRP, which also brings up the mileage to 31 on the combined cycle, versus 26 with the manual. The 2.0-liter boxer engine up front happily growls out 152 horsepower and 145 lb-ft of torque, then delivers it to all four wheels. Parents everywhere can feel a tiny bit better about their babies driving home for the holidays in inclement weather. 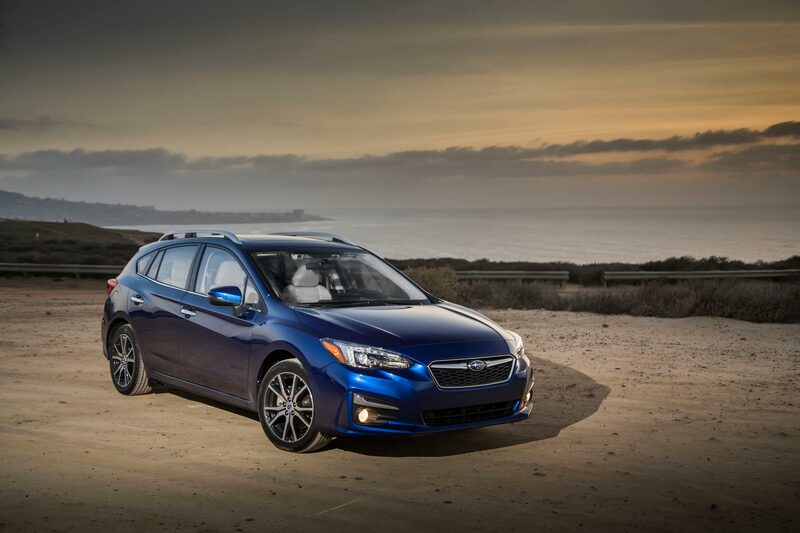 In addition to standard all-wheel drive, the Impreza offers standard Android Auto and Apple CarPlay with Bluetooth connectivity, much to the delight of smartphone-addicted children everywhere (and most adults, really). The base system uses a high-def 6.5-inch touchscreen that integrates hands-free calling, streaming audio apps, and a rear vision camera display. Subaru now offers its EyeSight driver assist package on all models for 2019, priced at $845. 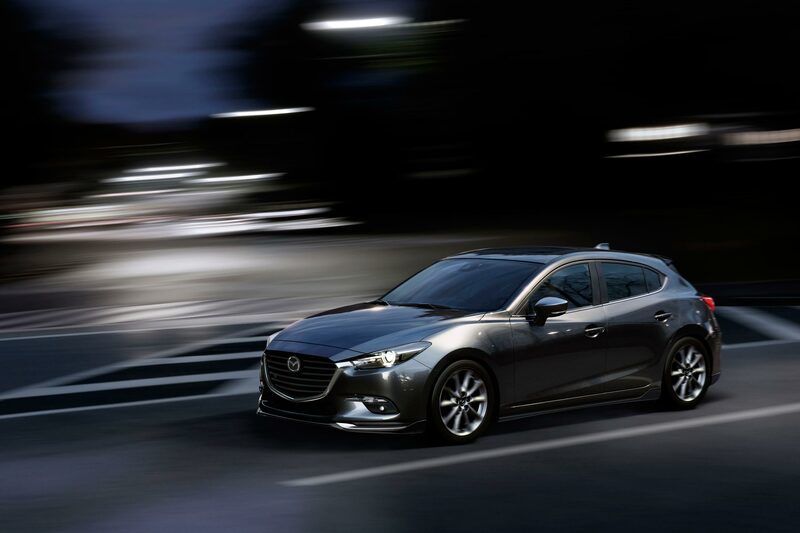 It adds pre-collision braking, lane departure warning, lane keeping assist, and adaptive cruise control. Though not included in our MSRP, we would absolutely have it for added peace of mind. These are our babies, after all. 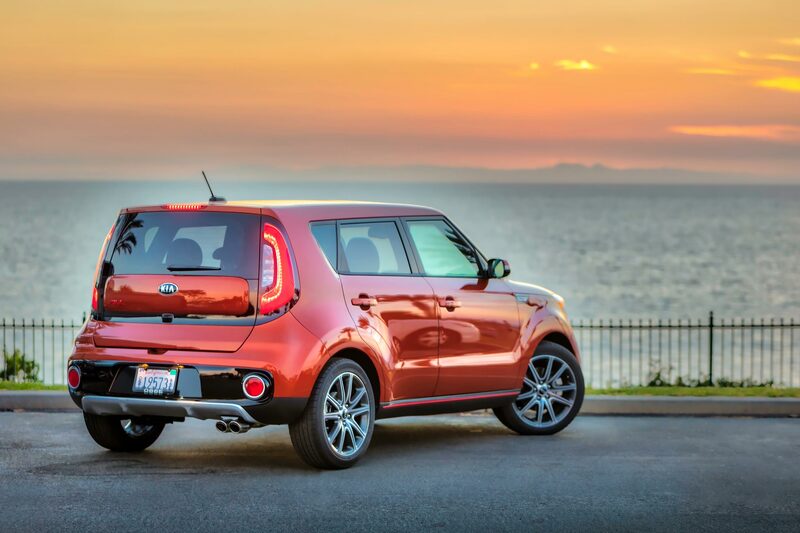 Even with the upright, boxy shape, the sheer vacuum of space inside the Kia Soul is surprising. Its tiny footprint will carry four adults and their belongings in SUV-levels of comfort, and even five adults will fit reasonably well. Call it what you will—tall wagon, crossover, milk truck—the Soul’s thoughtful packaging is the first incontrovertible proof of intelligent design. Sorry, Percival Davis and Dean H. Kenyon. While we usually cheap out when it comes to the kids, the middle “+” trim—which we will call the “Plus” going forward to avoid confusion—is the one that best balances utility and comfort, at least according to our pocketbooks. 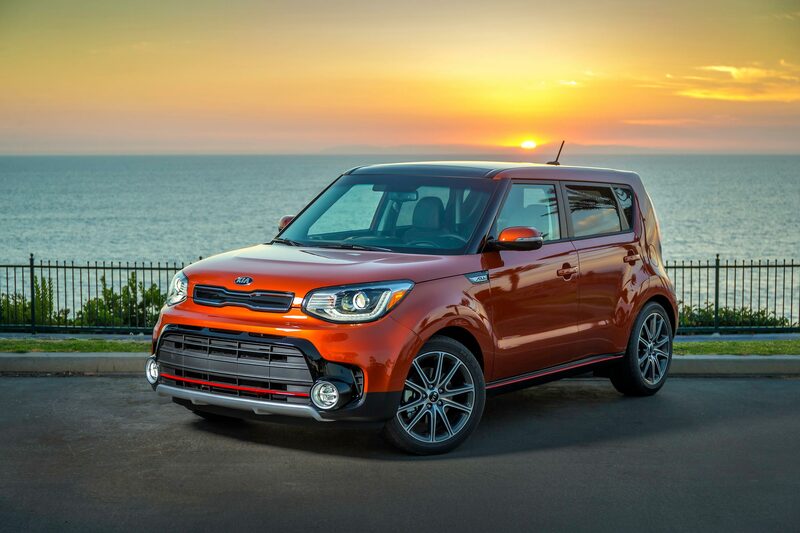 The base Soul starts out at a very reasonable $16,490, but comes with (wait for it) a manual transmission, paired with a 130-horsepower 1.6-liter. Choosing the auto adds $1,700, bringing the starting MSRP to $18,910. All Souls comes with Bluetooth and hands-free, which we like, but Apple CarPlay and Android Auto are part of a $1,200 option package on the base model, raising the bottom line to $19,390. On the Plus level (and above), the infotainment system includes the desirable services as standard. In addition to the connectivity features, the Plus gets a 2.0-liter four-cylinder with 161 horsepower, mated to an automatic transmission as standard equipment. Both base and Plus powertrains return 27 mpg combined. The Plus comes with body color trim inserts, larger wheels, and fog lights, giving it an upscale appearance. We don’t hate the kids (thin ice, Eleven), and this first car will have to reasonably take them through the first years of work after graduation. A few amenities at a reasonable cost now will add to car’s perceived usefulness later, making it less likely to be prematurely traded in for a newer, more expensive model simply because of a better stereo. 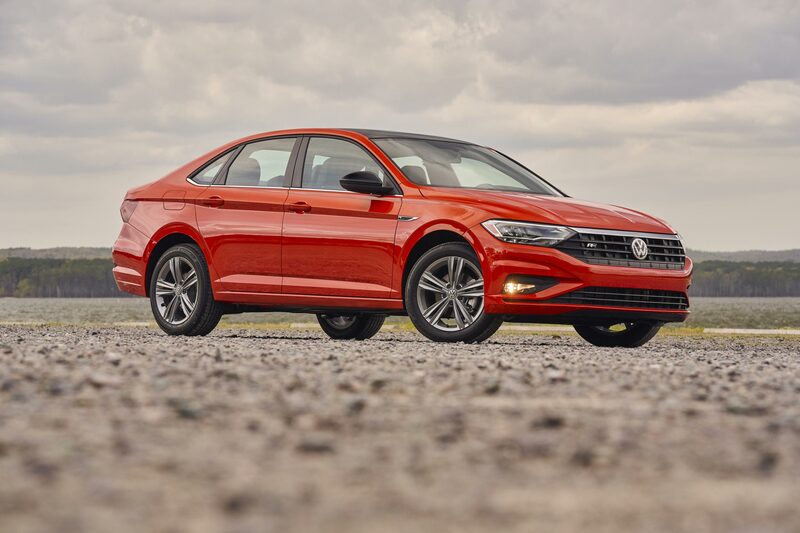 Volkswagen’s iconic Jetta is all-new for 2019 and debuts with a $18,545 starting price, lower than the outgoing model. It does, of course, have a manual transmission as standard equipment (weren’t all stick shifts supposed to have disappeared by now?). Opting for the Gen Z-friendly eight-speed automatic adds $800. 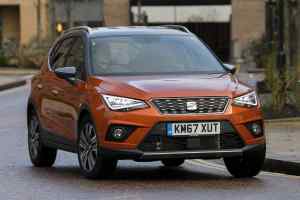 Though it costs less, it’s a bigger car in all directions than its predecessor. 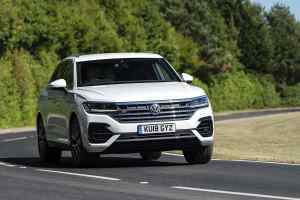 It has a longer, wider wheelbase, improving the handling and increasing interior space. The new roofline is taller than before, offering more headroom (“Obviously,” says Eleven, who has not outgrown “that phase” yet). 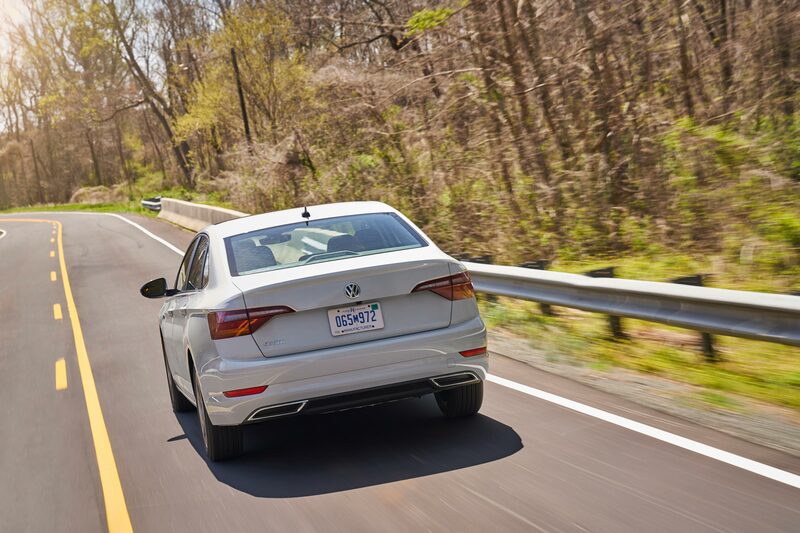 The latest Jetta manages its new size with a sporty, coupe-like roofline and shorter overhangs front and rear. Though it is a sedan, standard 60/40 split-folding rear seats add utility to the 14.1 cubic foot trunk. Under the hood of our base S model beauty is a 1.4-liter turbo with 147 horsepower and a beefy 184 lb-ft of torque. Stop/start technology is standard on all automatics, and the drivetrain returns a very respectable 34 mpg combined. The standard 6.5-inch infotainment system is equipped with Bluetooth and smartphone integration, allowing our school-bound scions access to phone and text features, apps, and any streaming music services they have purchased on our credit card. LED lighting is standard front and rear for added night-time visibility. 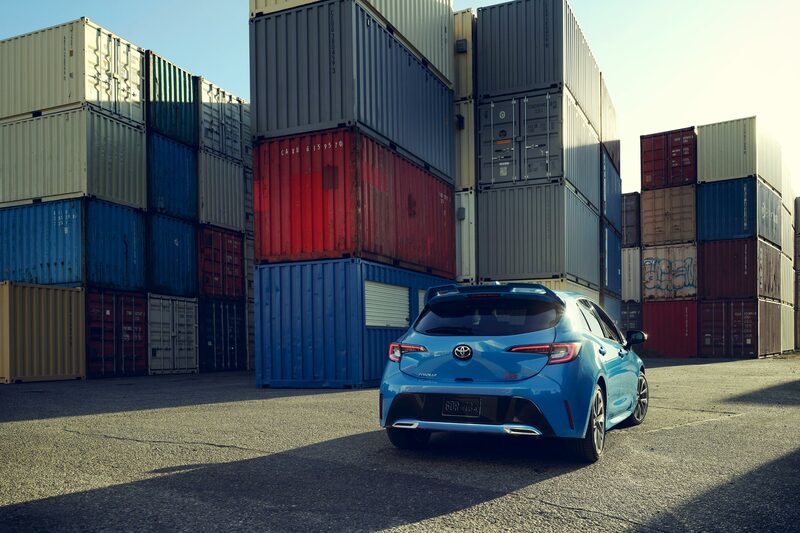 Toyota’s all-new 2019 Corolla Hatchback has everything the Goldfish Generation could want. Even its photos come with Snapchat filters pre-applied. More than just building on its predecessor, the iM, the Corollaback has a new chassis, powertrain, and safety. It’s lower, longer, and wider, with a stiffer platform that allows the suspension to perform better. Even the paint is new for 2019. The color in the photo is called Blue Flame, and should clearly be the standard color for all Toyotas henceforth. Under the hood is a DYNAMIC FORCE! 2.0-liter putting out 168 horsepower and 151 lb-ft of torque. (No, the DYNAMIC FORCE! name doesn’t have to be shouted superhero style, but it’s really fun.) Our heroic powerplant is mated to a manual transmission is base form (insert recurring joke here), so we added the CVT ($1,100). Toyota has upgraded its standard safety suite to version 2.0. Included is the familiar pre-collision system with pedestrian detection. Lane departure alert with steering assist keeps the car on the road. For CVT models, the full-speed dynamic cruise control now functions from zero to 110 mph and allows low-velocity speed matching, stopping, and acceleration/deceleration. A new lane tracing assist tracks the center of the lane and provides hands-on steering assist. And a new road sign assist recognizes signs and alerts the driver, nagging the children even when parents are absent. Keeping our college kids entertained while still keeping their hands on the wheel is the standard Entune 3.0 connectivity suite with an 8-inch touchscreen, Apple CarPlay compatibility, hands-free phone capability, and voice recognition. It comes with Amazon Alexa, just in case they suddenly advance in age to their forties, and even a CD player, just in case time reverses. All joking aside, we love the added safety and security the new tech provides all drivers, and especially as parents of two of those drivers. Adding to that peace of mind is a standard maintenance plan for two years or 25,000 miles, and standard roadside assistance for two years and unlimited miles. There is nothing our children like more than being outraged over the state of the planet. There is nothing we like more than not spending money on our children. The Toyota Prius is the perfect balance for our family. 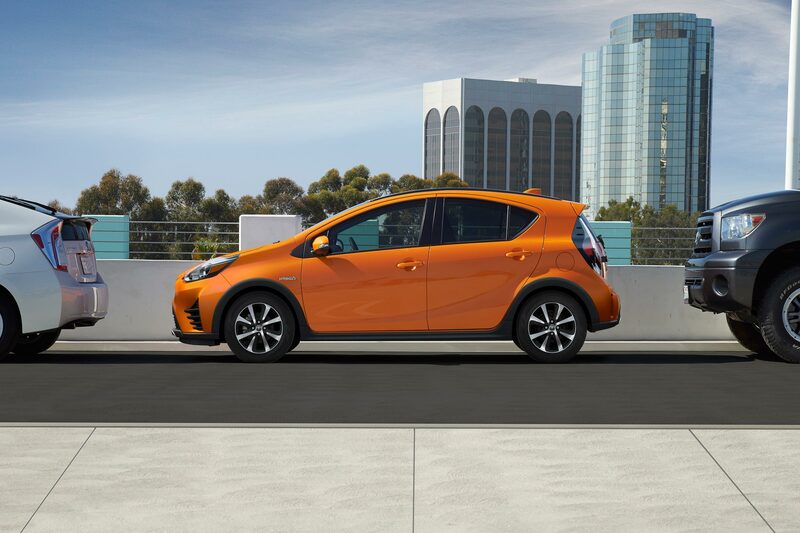 The Prius c is the city-sized member of the Prius family, and starts at $21,630 for the One model, which has a CVT as standard (thank you. Was that so hard?). When shopping, we found our whole family preferred the Two for $800 more. While identical on the outside to the One, the Two has 60/40 split rear seats, while the One’s unit folds down in a single piece. The Two also adds two-tone fabric and a bit of chrome for added interior zazz. The driver’s seat adjusts six ways. Touch surfaces are nicer, and the center armrest is noticeably better. There’s cruise control, and a privacy cover for the cargo area. Both models come with Bluetooth and voice recognition for hands-free phone use, phone book access, and music streaming. A USB port provides iPod integration, and iPhone users can use Siri EyesFree. As the car is clearly badged a Prius, the world knows it’s hybrid and very fuel-efficient. It’s powered by a Atkinson-cycle 1.5-liter engine making 73 horsepower and 82 lb-ft of torque. With the electric drive, total system horsepower is 99. 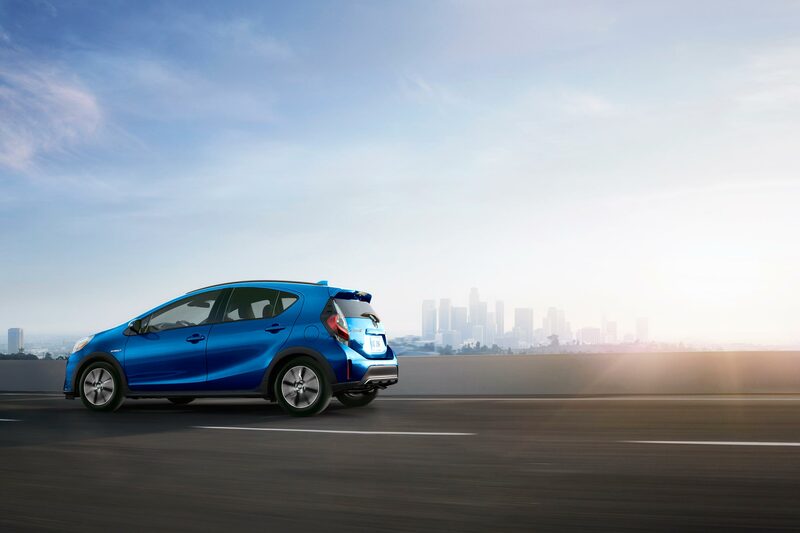 While that may not initially sound like scintillating performance, the Prius c is fun-sized and as slippery as a carp. Fuel economy comes in at 46 mpg in the combined cycle, which is all the performance we, as college money-providing parents, care about. Adding to our financial peace of mind is a Toyota’s standard two-year/25,000 maintenance plan, a five-year/60,000-mile powertrain warranty, and an eight year/100,000 hybrid component warranty. 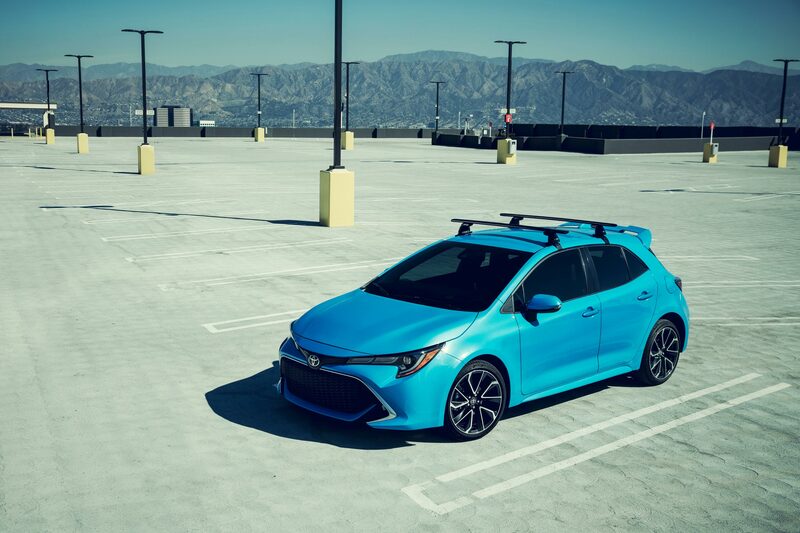 We are hoping that Toyota’s latest safety suite, the version 2.0 that is standard on the 2019 Corolla Hatchback, will appear on the 2019 Prius c. The 2018 Prius c is equipped with the previous version, which has a pre-collision system, lane departure alert, automatic high beams. Nine airbags are standard equipment, as is a backup camera.